Do you hate ads so much that you don't want to support any sites that use them? Since your reading a blog about marketing, the answer is probably no. But you still use an ad blockers, right? Of course. 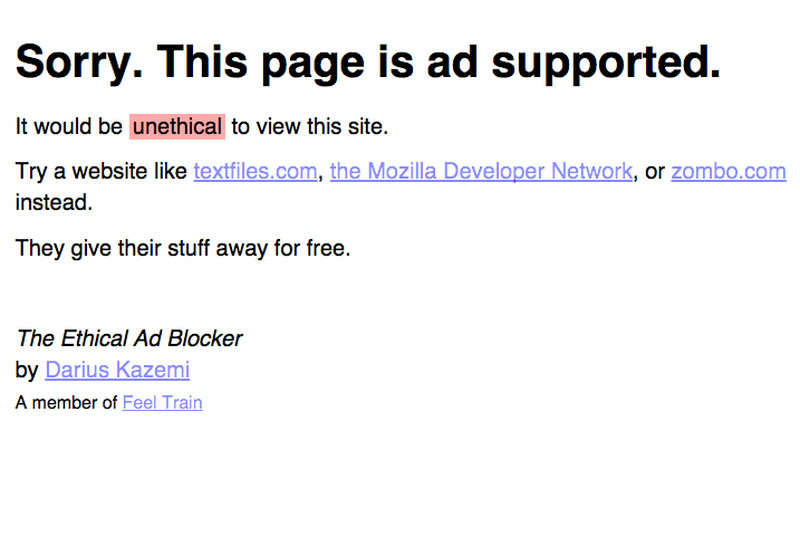 Well, if you want to see the real impact blocking ads you may want to download The Ethical Ad Blocker. Not only does it block ads, it also blocks ad supported content. So, forget all that free content you get to see on the internets due to the support of those annoying ads and ensure that you never see any of that content that is also trying to sell you stuff again!